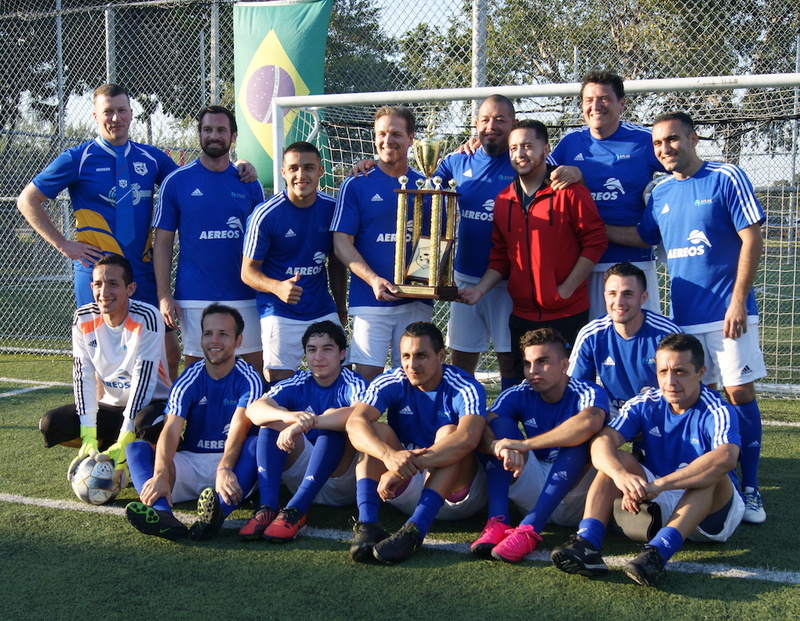 Miami, FL – February 14, 2016 – Atlas Aerospace, an FAA-certified repair station founded in 1978, was invited to participate in Icelandair’s FC ICE Grand Soccer Tournament at Tropical Park soccer stadium in Miami, Florida on February 13, 2016 with the kick-off scheduled at 11:30 a.m. Atlas Aerospace’s team won three of its four hard fought matches before winning in the finals against Silver Wings to win the trophy. The play consisted of 10 teams with 7 players on each side playing on half fields for 15-20 minutes per match. 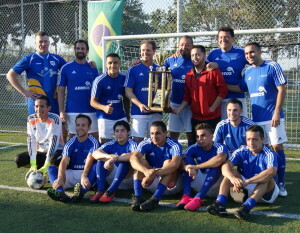 Once the victor was official, it was time to put on our smiles and pose with the trophy presented by Icelandair. After the photo session ended, the families who came out to watch stayed for the evening’s festivities, which included a big BBQ feast at the stadium plus music, dancing, and, of course, the obligatory Icelandic beer. Hollmann Guevara, General Manager at Atlas Aerospace, said, “I normally play soccer on Sundays, but without these cheering crowds. Getting out of the office with work friends was a very good team building exercise,” he continued. Atlas Aerospace, an FAA-certified repair station founded in 1978, specializes in the repair and overhaul of key pneumatic, hydraulic, electro-mechanical, fuel and electronic components in support of airlines, MROs and OEMs from around the world. Atlas Aerospace, is one of Aereos’ five award-winning companies, and the others are Airline Component Parts (ACP), EulessAero and Aervit. With more than 100 years of combined industry experience and 150 highly skilled aircraft professionals and craftsmen, Aereos divisions go above and beyond to expand its wealth of knowledge continually to develop and master better methods, improve process efficiencies and accelerate delivery time.